Back Back Back was a very nostalgic show for me. I have many fond memories as a child going to baseball games or staying up listening to broadcasts over the radio. 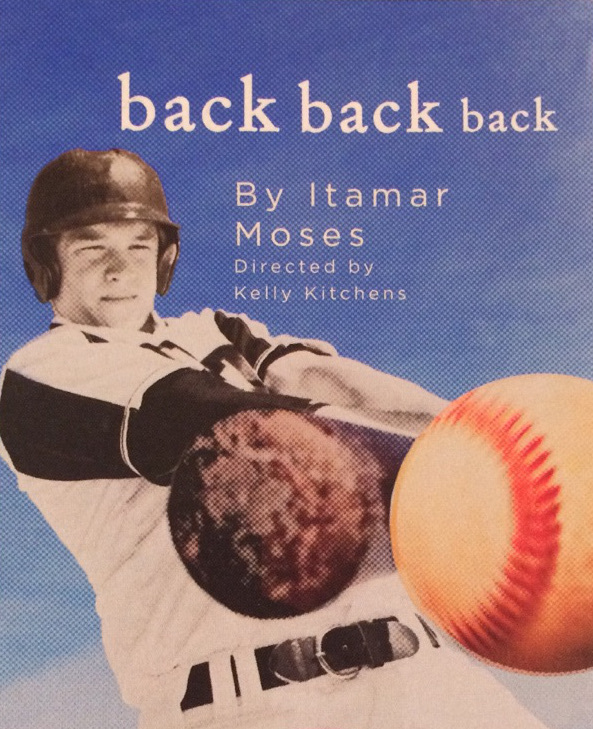 It was a fun experience blending my love for the pastime with love of theatre. As the content of the show revolved around the baseball steroids controversy, Kelly wanted the sound to start very nostalgic and slowly twist it throughout the course of the show. The play is divided into 9 scenes and the biggest sound cues were underscoring the transitions, to provide support for change in time and place as well as to add emotional tension. To go with the nostalgic feel, I pulled vintage audio: radio broadcasts, fight songs, commercials, even audio from the congress steroids hearings. As the show progressed, the transitions grew more fragmented, different sounds began overlapping and then coming through different speakers. Other effects and sounds helped add an unsettling twist to these later transitions.